Improved smile and facial appearance. Dental Implants improve speech and eating. 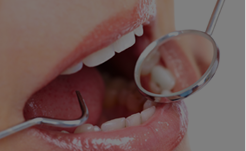 Dental Implants provide a more Comfortable & Natural Look. 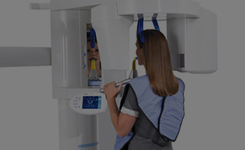 3D Scanning Implants are Predictable & long-lasting and viability of the Dental Implant. 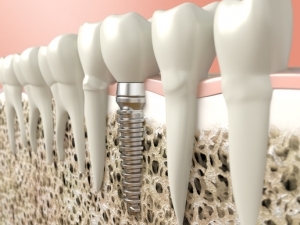 Bone building procedure almost anyone can get a Dental Implant. A dental implant is made of titanium and has a cylindrical shape, similar to a screw. The implant is placed into the jawbone and serves as a secure root for the new tooth. Once in place, the implant can be used to attach different types of dental restorations, such as crowns, bridges or dentures. Dr. Markowitz will determine your best treatment option and map out how long the treatment will take in your case. The exact duration depends on your health, the quantity and quality of your jawbone and the planned treatment. After the procedure is done, do Dental Implants need to be replaced periodically? Dr. Markowitz has a unique understanding of how to improve the quality of a procedure to give life-long results. A key factor in the success of an implant’s outcome is the amount of healthy bone tissue able to support the anchoring of the implant. The 3D scan technology that Dr. Markowitz uses is the industry’s best technology and it gives him the ability to see when there is sufficient bone for success. If there isn’t enough viable bone tissue, Dr. Markowitz has the ability to add bone before the implant surgery, increasing the implant’s success. Other dentists have told me I don’t have enough healthy bone for an implant. What can I do? Dr. Markowitz tells all his patients: “Almost anyone can get implants, as long as the bone gets built up first.” Even if other dentists have told you that you don’t have enough bone for successful implant surgery, Dr. Markowitz can still help you. He does bone building procedures that allow implants to be added. 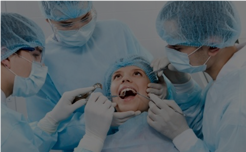 Is special care needed when maintaining Dental Implants? Dental implants are maintained like regular teeth are maintained. This means flossing, brushing and regular cleanings. 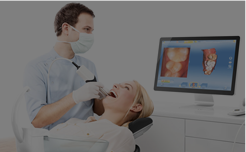 Why should I choose Dental Implants over other forms of treatment? Patients who’ve had dental implants and other prosthetic dental appliances report higher levels of satisfaction. It’s really as simple as that. Does advanced age affect the dental implants procedure or results? Dental implants are for all ages providing there are no underlying medical conditions that might prohibit minor surgery. Additional information on Implants, procedures, and treatment.